What should I do if I'm having trouble with my terminal? We offer technical support for all of our terminals 24/7, should you have any issues with your equipment make sure to contact us right away. How long does it take to receive and deploy a terminal? Under normal circumstances, your terminal can be deployed and fully operational within 3 business days. Do I need a special bank account? As long as you have an existing business account with a Canadian bank, we are able to deposit funds directly into it. How long does it take for credit card transactions to be deposited into my account? Under normal circumstances, all credit card funds are deposited into your business account within 48 hours. What if I do deliveries? Can I take the terminal with me? 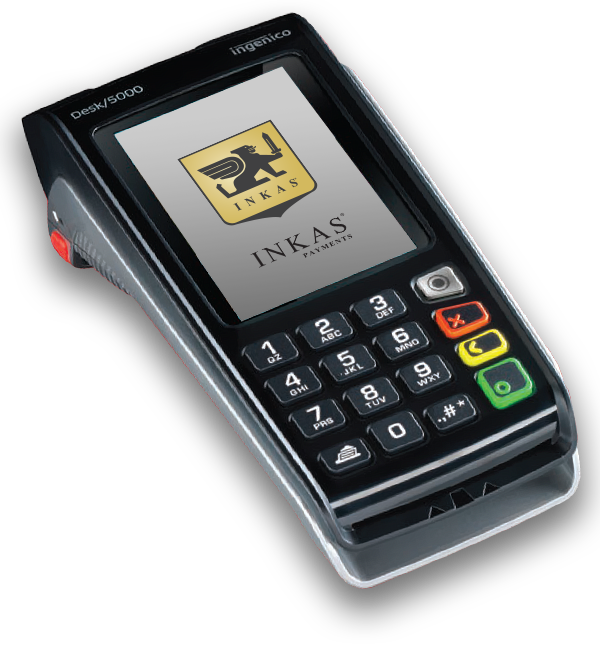 We carry the latest GPRS-enabled mobile terminals that will allow you to be fully mobile and take payments on the go. Our machines can be set up to process transactions through a regular phone line or via GPRS on the Rogers or Telus cellular networks as backup options. Do the machines have an option to accept tips? All of our machines can be set up to ask customers for tips, either on a predefined scale or through manual input. Do I need a computer if I want the terminal to use internet? All you need is a high-speed internet connection. No computer necessary.